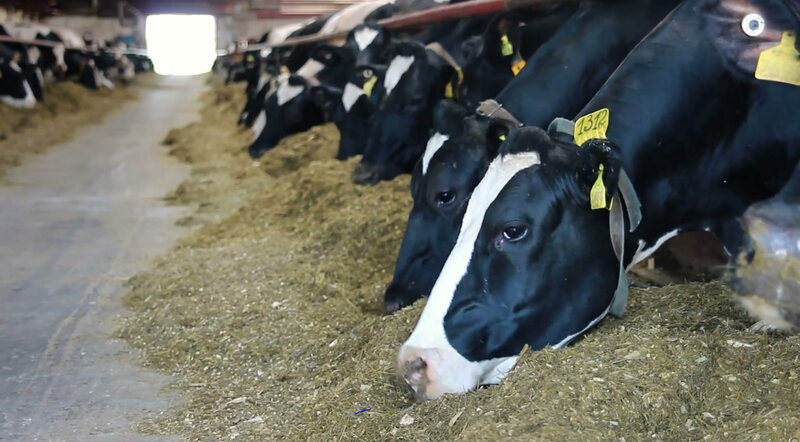 High-producing cows lose potassium through the normal, everyday function of producing milk, especially during heat stress. Potassium (K+) supplementation is critical in dairy cattle during early or peak lactation for proper dietary electrolyte balancing and several studies have shown it to be the most efficient way to reach a dietary positive balance necessary for buffering and ultimately maintaining high producing milk and milk protein production. 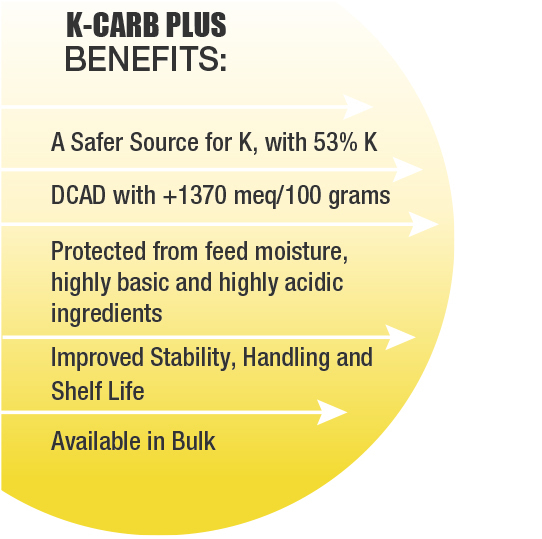 K-CARB PLUS is a successful method of safely delivering potassium K+ and positively impacting the health and performance of lactating dairy cows, while providing solid economic benefits.